"Corporate and Private Parties, Fairs/Festivals, Dances, Weddings . . .
You name it, we've played it!" 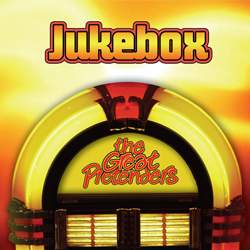 The Great Pretenders have been entertaining audiences with their live performances featuring vintage rock n' roll, motown, surf, disco and classic rock since 1987. They provide music and entertainment that will have you singing along and appropriate for audiences of all ages! This is the music that has stood the test of time! If your e-mail address has changed, remember to send us your new one.